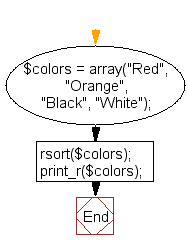 Write a PHP script to sort an array in reverse order (highest to lowest). Previous: Write a PHP function to generate a random password (contains uppercase, lowercase, numeric and other) using shuffle() function. 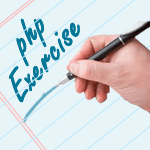 Next: Write a PHP program to generate an array with a range taken from a string.